I truly believe in the power of the written word, but sometimes an in-person seminar or a group workshop can convey information in a completely different way. I have developed and delivered workshops on numerous subjects, for a range of people. For Royal Opera House Bridge, I have run workshops about the new Artsmark, working with headteachers and other senior management from schools. For the Stagecoach Teacher Training course – the ADPA, I talk about the importance of creativity, how it can impact science, technology and people’s lives. 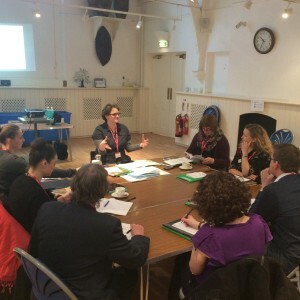 For Arts Award Supporter I have developed, delivered and shared a half day workshop which helps organisations to develop their Supporter offer and gives them the information and skills to go back and implement it straight away. For Share Museums East I ran a workshop on how to find creative ways to run Arts Award within museums. As a qualified post education teacher I am skilled at finding ways of communicating with people – ensuring that they understand and are able to put the information to good use. 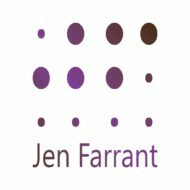 If you want me to develop or run workshops or seminars for you on: arts administration and management; developing a creative practice; going self employed; working as a disabled person; creativity; Arts Award or any other topic I talk about then get in touch – jen AT jenfarrant DOT com.